The Jason Mango Body Wash Pump - Softening - 900ml product ethics are indicated below. To learn more about these product ethics and to see related products, follow the links below. This shower gel smells really odd, I've used many mango-scented products before as I love mangoes but this one smells quite off-putting to me, more like durian fruit than mango..! I'm hoping I get used to the smell with time as it's a really large bottle so I refuse to be wasteful and give up on it... But I much preferred the aloe vera scent. (Mind you, my partner doesn't seem to think there's anything odd about the smell, so it might just be a matter of personal preference...) The quality of the product itself is very good, though, it feels good on my skin, is efficient so lasts forever, and the pump is very handy. I'll definitely be trying the same product, just a different scent, in the future. 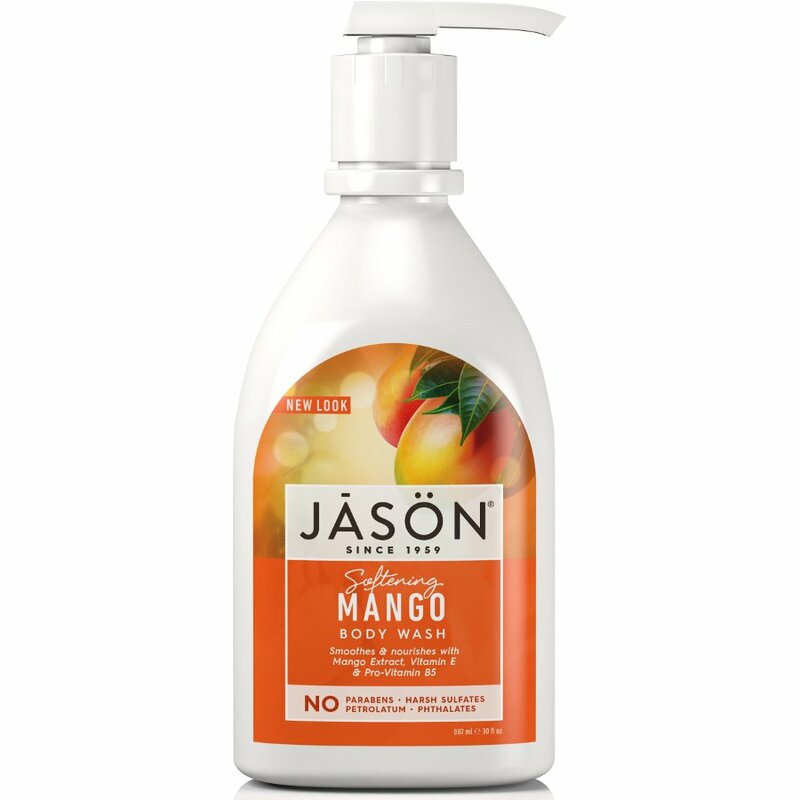 This shower gel smells really odd, I've used many mango-scented products before as I love mangoes but this one smells quite off-putting to me, more like jackfruit than mango..! I'm hoping I get used to the smell with time as it's a really large bottle so I refuse to be wasteful and give up on it... But I much preferred the aloe vera scent. (Mind you, my partner doesn't seem to think there's anything odd about the smell, so it might just be a matter of personal preference...) The quality of the product itself is very good, though, it feels good on my skin, is efficient so lasts forever, and the pump is very handy. I'll definitely be trying the same product, just a different scent, in the future.